Reupholstering = Recycling. The Brighton & Hove Wood Recycling Project used to be inside an old and mostly redundant fruit and veg market but in the gloomy and dirty interior were treasures to be found, if you had eyes to see. Lumps of dusty grey wood that had only to be de-nailed, planed then oiled or polished into some close-grained, solid beauty. There were occasionally items of furniture and I spotted an armchair with wooden arms and a threadbare faux-leather cover sitting unselfconsciously in a corner. It welcomed an arse as an old pair of slippers comfort a pair of tired feet. I snapped it up for a fiver, with the intention of having it re-upholstered, retaining its comfort while improving its tired look. I went for a quote for the work and had to be scraped off the floor and brought back to sense with smelling salts, so shockingly expensive was it. “A house that does not have one worn, comfy chair in it is soulless”, said American poet and novelist May Sarton, so maybe I should have just installed it as it was. It ended up in the attic but then came to France with me, never posh enough to bring inside yet too comfy to throw away. 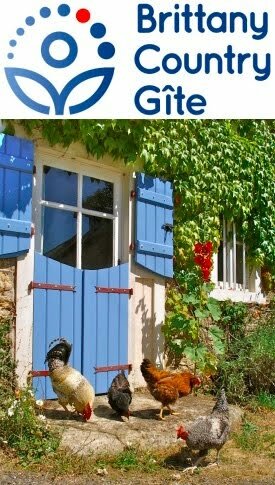 Some six years later, it somehow got mentioned in conversation with Richard and Leigh, regular holiday-makers in our gite. 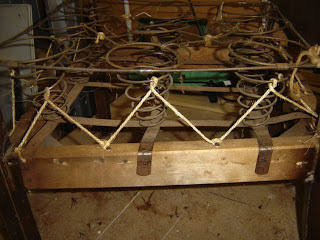 An intelligent and artistic chap, Richard has been known to refurbish the odd chair in his spare time. The chair left France in the back of their authentically French Citroën van, with the kindly promise that it would come back the following year as rejuvenated as an octogenarian that’s spent a fortnight in a health spa. To show the progress he’s making, Richard has sent us a few photos. From top to bottom, they show progressive layers of déshabillement, in the last one it's dressed only in a thin coat of new oil. I shall post updates as new photos arrive. Thanks, Richard! Do you want some lovely wool insulation to finish it off? 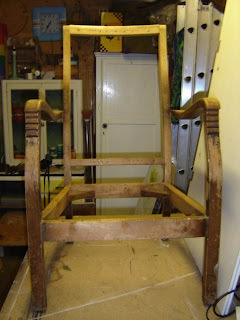 We seem to be very popular on the chair restoration scene!!! I keep getting phone calls from those across Britain who have received a Riverford Organics meat box and want to know if they can reupholster their dining room/ sitting room / kitchen/ etc chairs!!!! Over to you, Richard, what do you think of sheep's wool as padding? 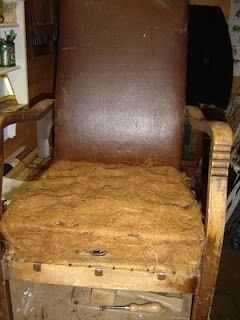 What was used in the original construction of this chair and what do you tend to use when restoring them? 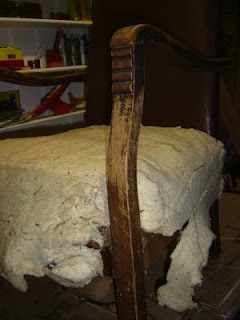 Traditionally people use cotton wadding as I have been doing on the chairs that I have worked on in the past. I would be very happy to try using wool but I have no experience of doing so. I will be over in the next few weeks and can drop off some recycled wool and some insulation ends for you to have a go with if wanted! .....can someone tell me the english for the word fouesnant please! Thanks Val, I'll email you regarding the insulation. For your French word, I can't find it in my huge dictionary, are you sure you have the spelling right? What is the context?